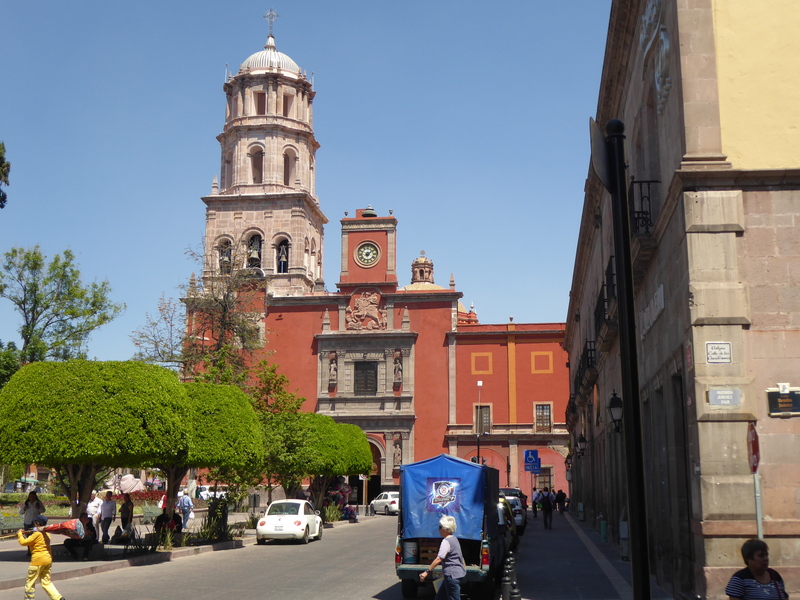 Queretaro, Mexico is known historically as the location of the execution of Maximilian and as the birthplace of the Mexican revolution. 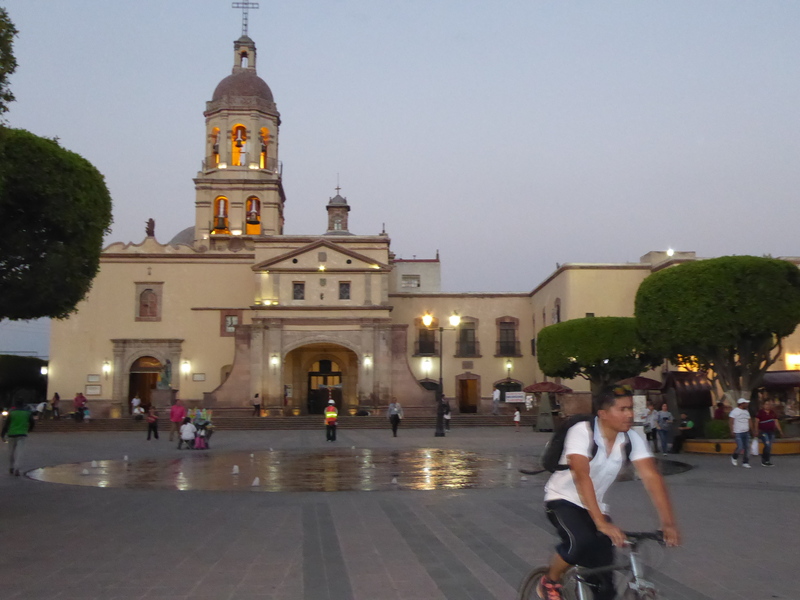 In recent times, it is known as a manufacturing hub and as the city that has the highest quality of life in Mexico. It is an under the radar destination hardly visited by foreign tourists, despite the entire city center being named a UNESCO World Heritage site. This is a city that has been on my radar since a missed opportunity in 2010. The time had finally come to see this city that had eluded me. Upon entrance into the city center, the cleanliness and beauty was stunning. 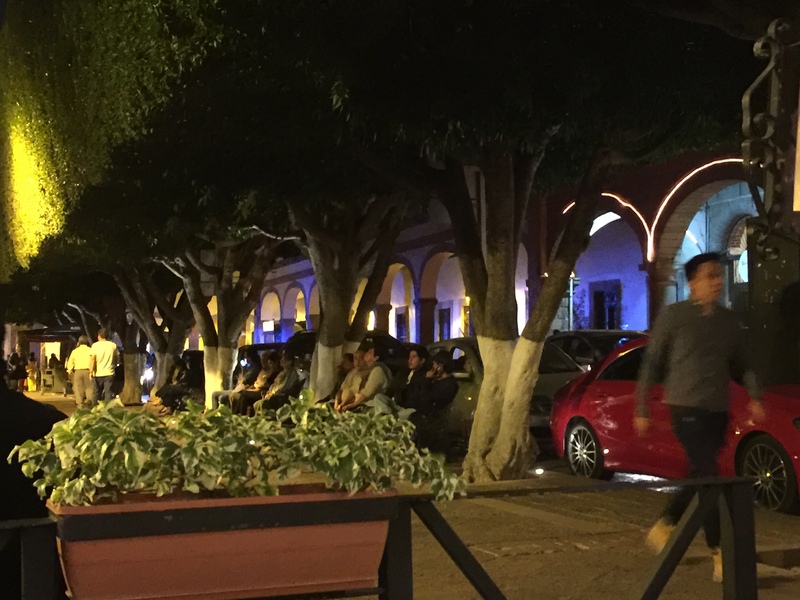 There were five plazas with lush greenery within blocks of each other. 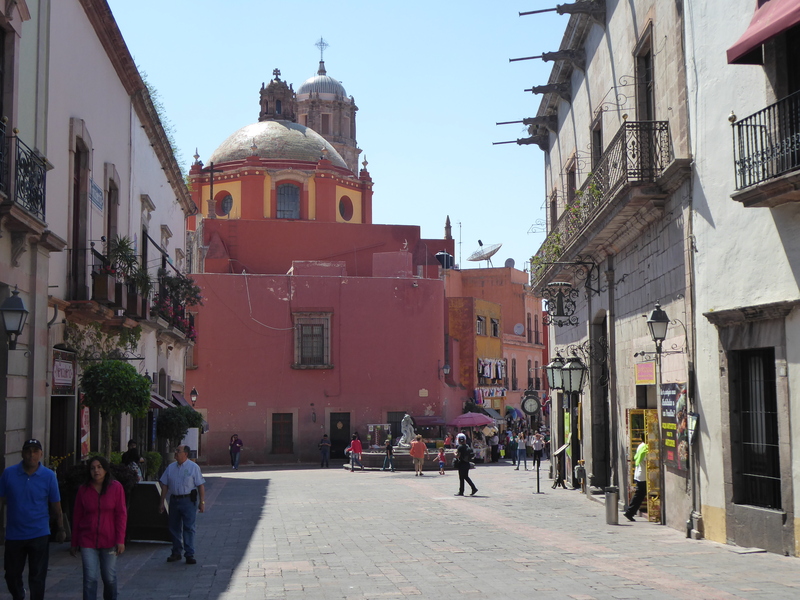 Also, there were various alleys that meandered around the center. Very quickly, it became apparent as to why UNESCO decided to make the entire city center a world heritage site. The first stop was to the Museo Regional, which was full of kids visiting on a field trip. Like many older buildings, the center of the building was a courtyard. The museum had several exhibits, and charged nothing for entrance. 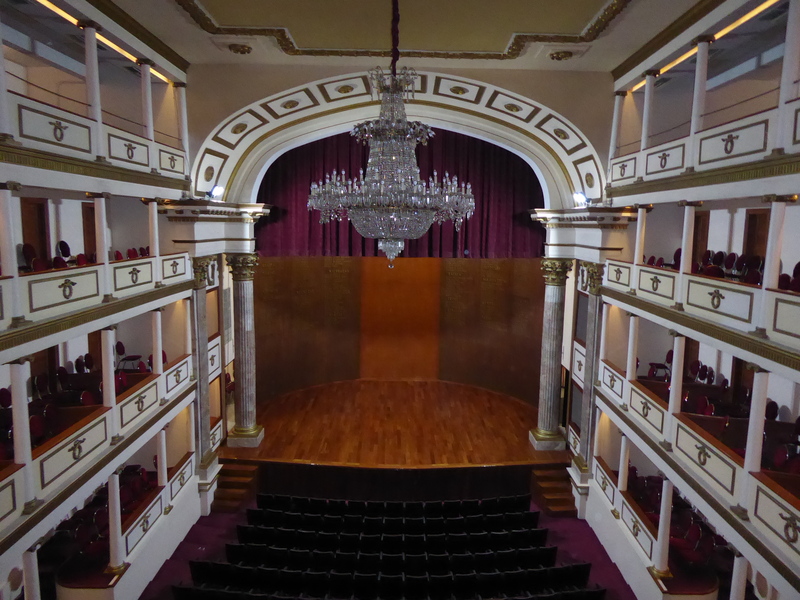 From here, it was off to the Teatro de la Republica. 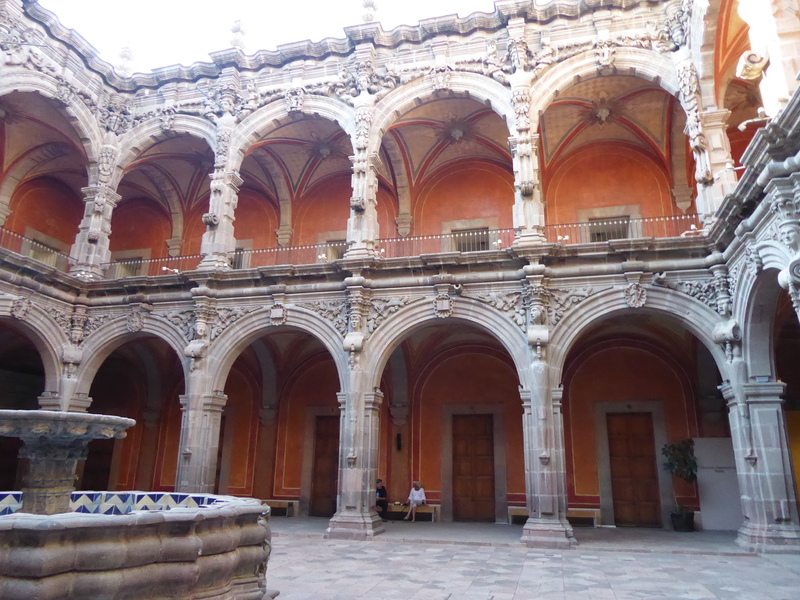 Like the theaters in Guadalajara and Guanajuato, the inside was spectacular and ornate. If I understood Spanish well, I would definitely take the time to watch a performance. 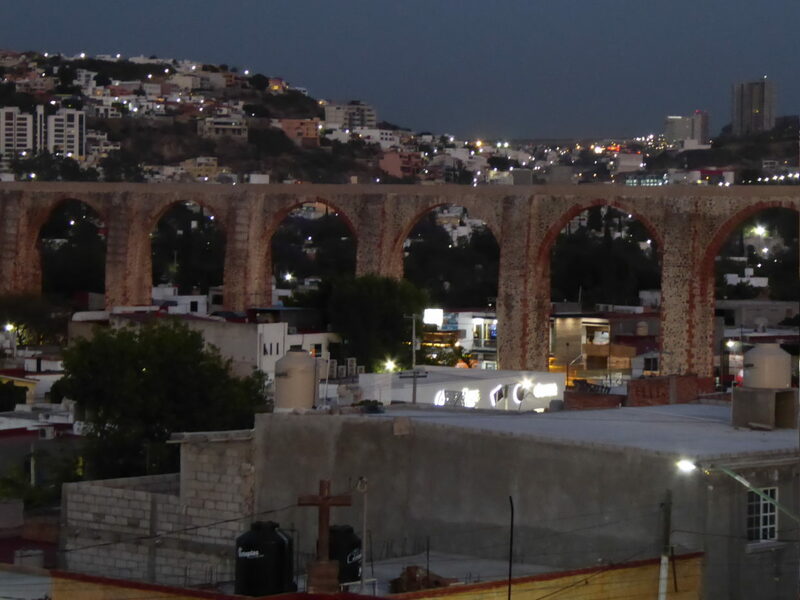 From here, it was a twenty minute walk to the chief attraction of the city, a beautiful viewpoint of an ancient aqueduct. On the way was a serene church. 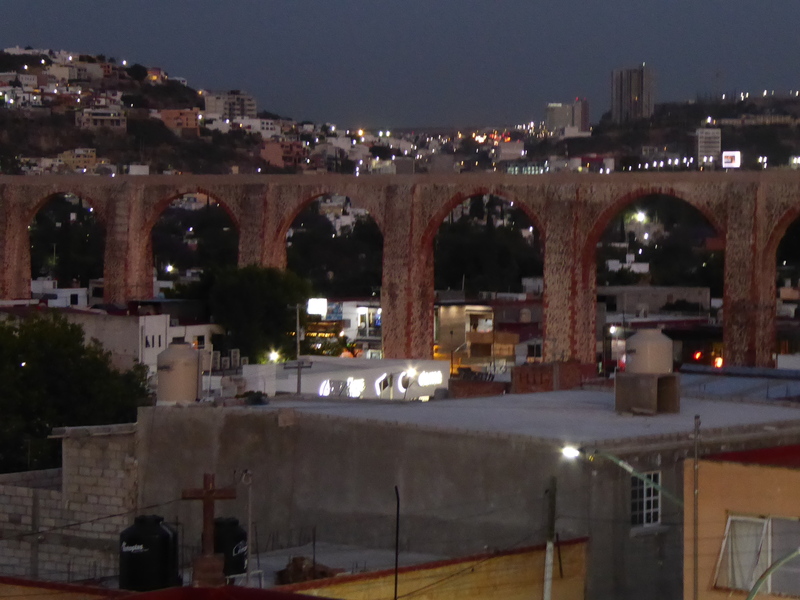 The panorama of the aqueduct was simply sublime. By this time, it was dark, and it was time to eat. 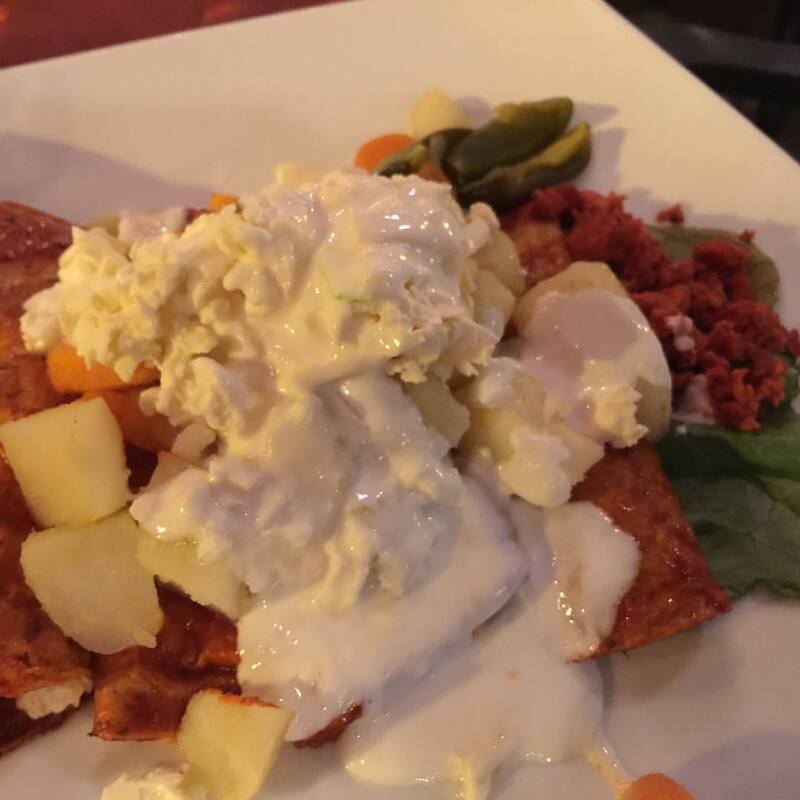 My order was enchiladas queretanas, essentially enchiladas stuffed with fresh cheese topped by a red sauce. To say they were delicious is simply an understatement. 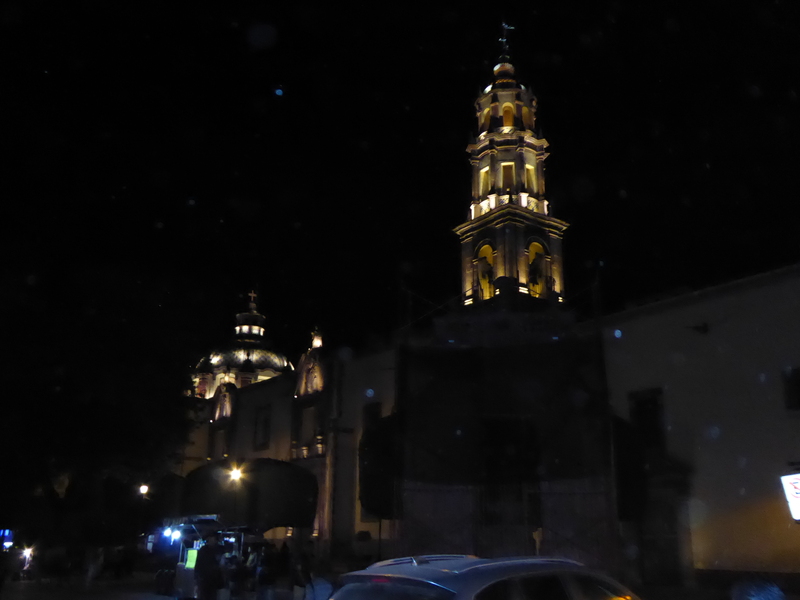 The view was possibly the best part, the restaurant was located in the central plaza of the cities, so unlimited people watching opportunities were abound. After a wonderful meal, it was a quick walk back to the hotel and off to bed to get rest for the challenge of the next day: climbing the third highest monolith in the world.